My son has this on for about 2 weeks. He's very active and sweat a lot. I want to wash the inner part but it takes time to dry. So, I want to get him a spare part. Is the inner washable part on sale? Unfortunately we don't carry the replacement liner for the Procare XcelTrax Tall. You will need to contact DJO Global at 1-800-336-6569. Hi. What is the length of this boot (from heel to top of liner)? Thank you. 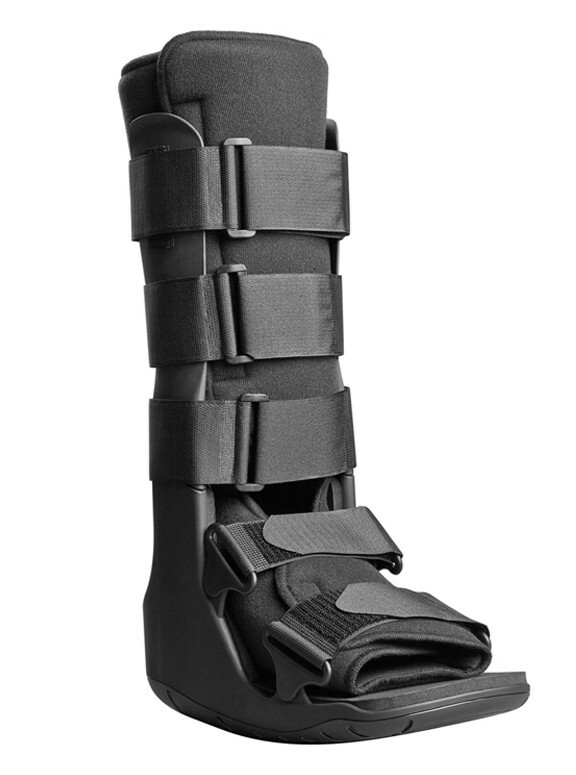 I have this walking boot for to keep my left ankle stable after braking my lateral malleolus three weeks ago. However, I have very high arches and my instep is starting to show a serious abrasion with redness. My husband saw the abrasion this morning and finally understands why I am a bit edgy. The pain is now hindering my desire to move, which is bad as I was just given permission to put partial weight on foot yesterday. Is there anything I can do to protect that area of the foot and still keep the foot stable? You should be wearing the boot with a sock so there is not skin to material contact. There should not be a lot of movement of your foot while it's in the boot. Make sure you have tightened the straps at the bottom tight enough to keep your foot from moveint but not so tight that your toes turn blue. Also if you have a pneumatic boot you can increase the amount of air your pumping into the boot. You should contact your physician reguarding the abrasion. I received my boot from my medical provider but did not receive a user guide or care instructions. Is this available online? I would be happy to send you a PDF of the instructions that come with your boot. Is there a weight limit for someone wearing the boot? My son is rather heavy and the metal on the sides literally bent. Is this normal? The weight limit is 350 pounds. My walking boot has an L on the bottom, but drs put it on right foot. is that a problem? The brace is universal. The L means you have a Large. Is there a right and left boot or does it matter? What is the best way to walk in them: heel first? They also seem built up in the inner side which causes one's foot to fall to the outside. Walk heel to toe. Your foot should not be falling to one side. Have your clinician recheck your fit and application in person to verify it's being done properly.